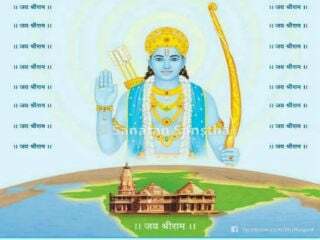 For creating awakening on establishing the ‘Hindu Rashtra’, meetings at 297 places, ‘Rural-meetings’ at 965 places will be held ! 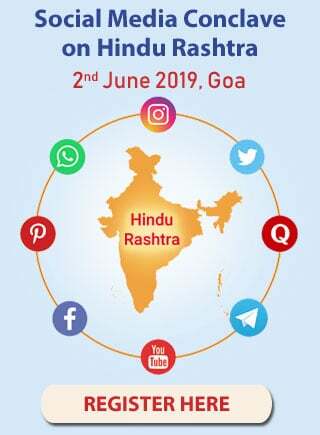 Ramnathi (Goa) : The ‘Hindu Rashtra Sanghatak Training Convention’ under the aegis of 7th All India Hindu Convention at Shri Vidyadhiraj Meeting Hall in Shri Ramnath Temple that started on 9th June concluded on 12th June. 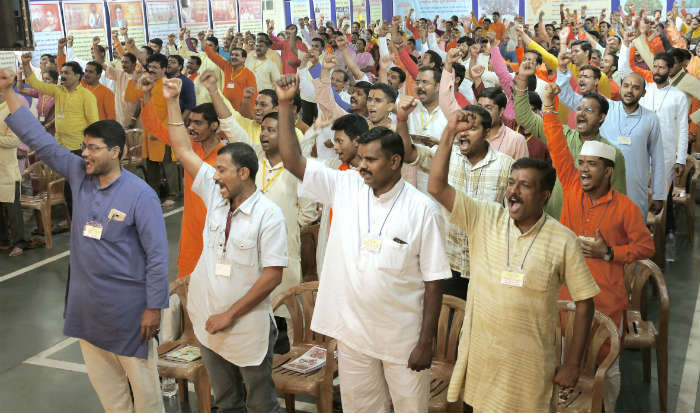 In this Convention, gathered devout Hindus decided to implement programmes ‘Awakening for the Hindu Rashtra’ for creating an awakening in the society about establishing the ‘Hindu Rashtra’. Under this programme, it has been decided to hold Hindu Dharmajagruti Sabhas at small, medium and large scales, as well as, ‘Single speaker meetings, at 297 places throughout the country. 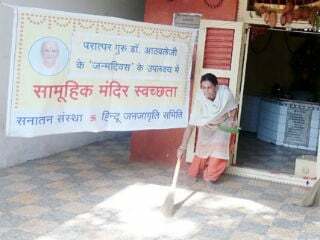 Along with these, it has been decided to organise ‘Village-level Hindu Rashtra Awakening Meetings’ at 965 places and ‘Seminars to awaken bravery’ at 209 places. 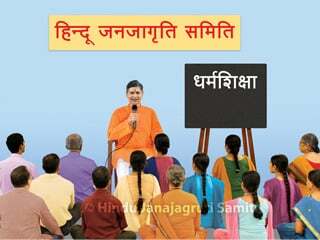 The Convention was attended by more than 240 devout Hindus from 13 States and volunteers of Hindu Janajagruti Samiti. At the conclusion of the Convention, National Guide of Hindu Janajagruti Samiti Sadguru (Dr.) Charudatta Pingale, Sanatan’s Dharmaprasarak for Northern Maharashtra Sadguru Nandkumar Jadhav, Sadguru (Mrs.) Binda Singbal, Sanatan’s Dharmaprasarak for Mumbai, Thane, Raigad and Gujarat State Sadguru (Ms.) Anuradha Wadekar, Dharmaprasarak for Western Maharashtra Sadguru (Ms.) Swati Khadye and other speakers guided devout Hindus on assaults on the Nation and Dharma, and spiritual practice. On this occasion, training was imparted to devout Hindus on various aspects such as ‘Moulding good organisers’, ‘Creating a sense brethren’, ‘How to unite like-minded Hindus ?’, ‘How to create awakening among Hindus ?’, ‘Which programmes should be implemented to unite Hindus ?’ etc. 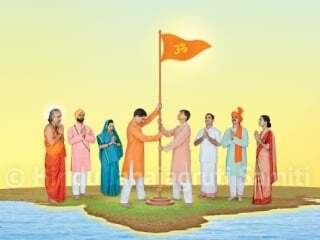 While working as the organiser for the ‘Hindu Rashtra’, a study on the concept of ‘Hindu Rashtra’ is essential. For this purpose, it is necessary to strive at ideological, intellectual, spiritual and physical levels. 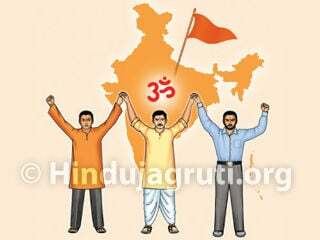 While creating awakening about establishing the ‘Hindu Rashtra’ and uniting Hindus, we should identify the need of the hour and work accordingly in constitutional ways. Let us move forward in that direction by making firm resolve to carry out the historic mission for the mission, guided Sadguru (Dr.) Charudatta Pingale. 1. 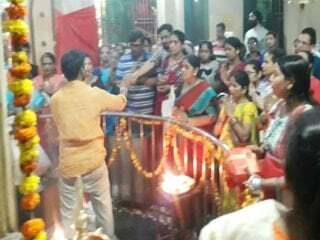 Monthly Rashtriya Hindu Andolan at 85 new places ! 5. Exhibition of flex boards at 577 places in various topics such as education on Dharma, atrocities committed on Kashmiri Hindus, etc. 6. Decided to hold Speakers’ Training Workshops at 38 places, Social Media Seminars at 89 places, Seminars on spiritual practice at 60 places.